For a while on a Sunday, families and friends could gather at Steak954 and have a great time together during brunch. Everything on the menu is delicious and reservations can be made via email, phone or on the internet at Open Table. Some highlights are the American Wagyu sliders, smoked salmon, potato pancake with hollandaise sauce, blueberry pancakes with chantilly cream, and much more. If there is a visual picture associated with Sunday brunch, it’s smiling family members gathered in front of the restaurant, making their way in for a delicious meal and then to leave with the sun setting on the horizon, ending what seems like a perfect day. Coconuts would be the best place to make this vision a reality with its setting on the water. Coconuts’ Sunday brunch menu makes the mouth water with such choices as the Moo & Cluck (marinated skirt steak, two eggs and chimichurri sauce), shrimp & grits and the seafood frittata (Maine lobster, shrimp, lump crab with tarragon and hollandaise). Don’t drive down 16th Street from Alton Road too quickly or you will pass by Yardbird if you’ve never been before. After making the right hand turn, pass the McDonald’s and start to look for side parking. If none is available around the popular restaurant, park at any of the garages on Lincoln Road and take a walk over. Walking through the world-famous blocks on Lincoln Road and to Yardbird is fantastic. Once you get a table, choose from such delicacies as the chicken, watermelon and waffles, big ol’ waffle or the healthy fresh fruit and maple pecan granola. Devon makes its brunch menu easy but “easy” doesn’t mean lacking in quality or presentation. It offers a brunch buffet menu with omelets made to order, a cold seafood display, waffles and entree selections like fresh scrambled eggs, applewood smoked bacon, Thai chicken wings, seared Atlantic salmon, etc. Reservations can be made on the Open Table website and customers can take advantage of seating by arriving earlier because the demand for the food at Devon eats up parking spaces. Located in residential area of Miami Springs, this restaurant has a brunch item that trumps all others — Captain Crunch French toast. Yes, the popular cereal that has fed generations has been turned into a brunch menu item. The food offered is Southern style with other selections like chorizo omelets, Chef Bob’s collard greens, catfish nuggets and chicken fried chicken. Coral Gables Eggstreme Egg Hunt and Helicopter Egg Drop, 10 a.m. Saturday, April 4th, five parks throughout Coral Gables, free. Children will be able to enjoy egg hunts going on simultaneously at five Coral Gables parks, including a helicopter egg drop at the War Memorial Youth Center, carnival, concerts, and prizes. Easter Brunch at the Delano Sunday, April 5th 11am to 4pm Brunch at the Delano’s Bianca restaurant $90/person. Endless champagne and Bloody Mary bar. Live bunnies and an Easter Egg hunt in the orchard. Spring Eggstravaganza Party on Miami Beach, 10 a.m. to 1 p.m. Saturday, April 4th, 501 72nd St, Miami Beach, FL 33141., free. Crafts and photographs with the Bunny. Carnival rides and concessions sold. Egg Hunt for children 10 and younger at 11:00 am. Jungle Island Easter Mega Egga Hunt & Sunday Easter Brunch The three-day event features Easter egg hunts, rides, arts and crafts, bounce houses and the Easter Bunny. The fun runs April 3-5 from 10am-6pm Easter Brunch at Jungle Island ($50/adults, $37/children) 11am-3pm Price includes park admission, brunch and tax. Bunny Palooza at the Miami Seaquarium April 3-5, 2014 from 10 a.m. to 4 p.m. Easter Weekend in Miami gets underway with BunnyPalooza 2015 at Miami Seaquarium, which hops onto the scene from Friday, April 3 to Easter Sunday, April 5. 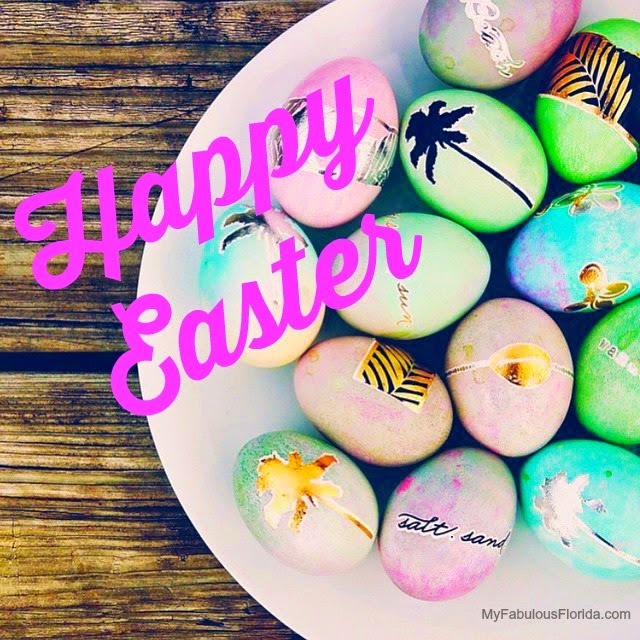 Guests will enjoy continuous Easter Egg Hunts throughout the day, and five acres of adrenaline pumping fun with bounce houses, slides, rides, Rock Climbing Wall, plus many prizes and surprises. The Easter Parade will start daily at 12:30 p.m. complete with floats, bands, strolling performers, costumed characters and of course the Easter Bunny. Easter Brunch at Smith and Wollensky Miami Beach Sunday, April 5th. Serving Brunch & Dinner, including a $49 Prime Rib Special with Duck Fat Roasted Root Vegetables and Yorkshire Pudding. Marshmallow Drop Miami Shores Saturday, April 4th 9:30am Children 10 and under join in the fun as marshmallows are dropped from a helicopter over the recreation fields. Goodies surprises and a magical show. Enchanted Forest Elaine Gordon Park Spring Egg Hunt, 10 a.m. to 12:30 p.m. Saturday, April 4th, 1725 NE 135 St., North Miami, FL, 33181 Easter egg hunt, face painting, prizes, and music. For kids 12 and under. $1.00 admission per person. Spring Extravaganza at Gulfstream Park Sat, Apr 4 from 11am-2pm. Meet the Easter Bunny, join an Easter Egg Hunt and enjoy crafts, face painting, sing-a-long & giveaways.